If you're looking for a job in Maryland, you might want to look at the largest employers in Maryland. The following list includes a mix of private companies, universities, federal agencies, and military installations that offer technical positions, engineering jobs, financial service jobs, jobs in health care, and more. Please note that all numbers are estimates and subject to change. The U.S. Army installation serves as a research, development, testing, and training facility for military weapons and equipment. The non-profit health services organization, based in Gaithersburg, cares for more than 400,000 men, women, and children in the community each year among its entities and services. Fort George G. Meade is a U.S. Army base located between Baltimore and Washington, D.C., that includes the offices of the Defense Information School, the Defense Media Activity, the United States Army Field Band, United States Cyber Command, the National Security Agency, the Defense Courier Service, and the Defense Information Systems Agency. The grocery store chain operates more than 150 stores in Maryland, Virginia, Pennsylvania, and West Virginia. The U.S. Air Force facility, also known as Andrews Air Force Base, is home of the 1st Aircraft Squadron, 79th Medical Wing, 89th Airlift Wing, 459th Air Refueling Wing, and Malcolm Grow Medical Center, and Air Force District of Washington. Johns Hopkins University is a private research university and world leader in medicine, public health, the arts, sciences, and engineering. The teaching hospital and biomedical research facility of Johns Hopkins School of Medicine is one of the top health care facilities in the nation. 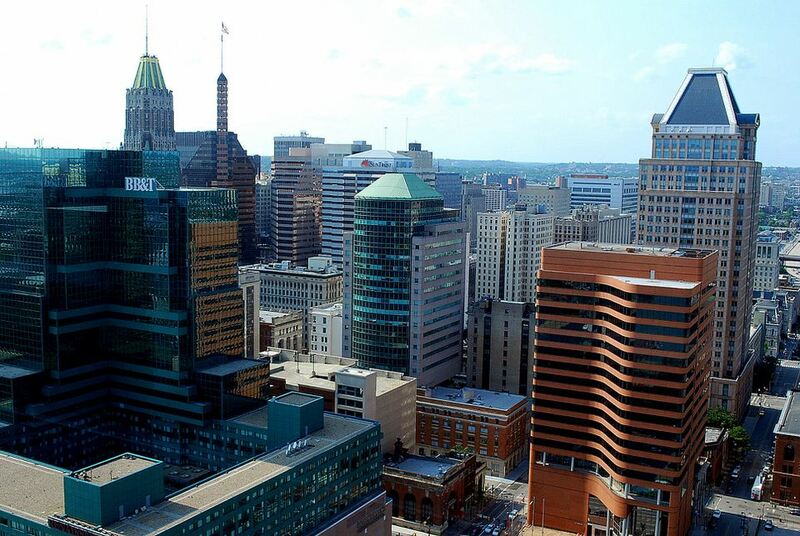 Johns Hopkins Medicine operates six academic and community hospitals, four suburban health care, and surgery centers, and more than 40 primary and specialty care outpatient sites. Based in Bethesda, the global security and aerospace company employs approximately 140,000 people worldwide and is engaged in the research, design, development, manufacture, integration, and sustainment of advanced technology systems, products, and services. Based in Bethesda, Marriott International is a Fortune 500 company that owns and operates more than 6,700 properties in 130 countries and territories. MedStar Health is a not-for-profit health system that operates 10 hospitals, ambulatory care, and urgent care centers, and the MedStar Health Research Institute that are recognized regionally and nationally for excellence in medical care. As the medical education and clinical partner of Georgetown University, MedStar trains more than 1,100 medical residents annually. The NIH is a part of the U.S. Department of Health and Human Services and the nation's medical research agency. The organization is made up of 27 different institutes and centers that focus on particular diseases or body systems. The NIH has more than 75 buildings in a campus-like environment. The global security company provides innovative systems, products, and solutions in unmanned systems, cyber, C4ISR, logistics, and modernization to government and commercial customers worldwide. The U.S. naval air station is located in St. Mary's County and is home to the headquarters for the Naval Air Systems Command (NAVAIR), the U.S. Naval Test Pilot School, the Atlantic Test Range, and serves as a center for testing, evaluation, and systems acquisition relating to naval aviation. The grocery chain is one of the largest retailers in the United States with many locations in the capital region. The private, not-for-profit corporation owns and operates 14 hospitals in Maryland. The University System of Maryland includes 12 degree-granting institutions and two research facilities: Bowie State University, Coppin State University, Frostburg State University, Salisbury University, Towson University, University of Baltimore, University of Maryland–Baltimore, University of Maryland–Baltimore County, University of Maryland–College Park, University of Maryland Eastern Shore, University of Maryland University College, Universities at Shady Grove, University System of Maryland at Hagerstown, and University of Maryland Center for Environmental Science. The government agency oversees the social insurance program consisting of retirement, disability, and survivors' benefits. The retail giant operates multiple stores throughout the Washington, D.C. area.